Poké was all the rage in Southern California, and the wave hit Houston this year, with a large number of poké shops opening in a very short time span. Even the California-based North Shore Poke Company opened an outpost in Houston. What is poké? 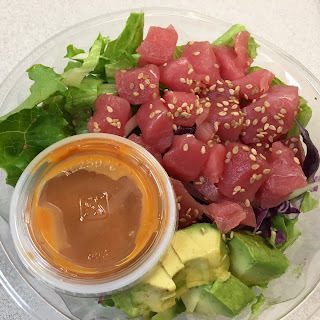 Basically, it's a raw fish "salad", consisting of diced fish marinated in various seasonings (the name, after all, derives from the Hawaiian word for dicing). More modern interpretations serve this atop rice and include other vegetables. 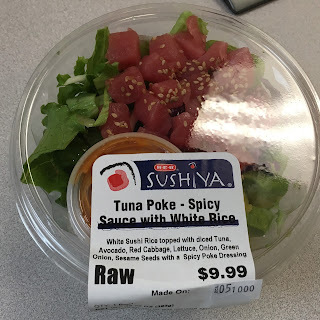 This isn't so much poké but literally a regular salad with raw fish thrown in. 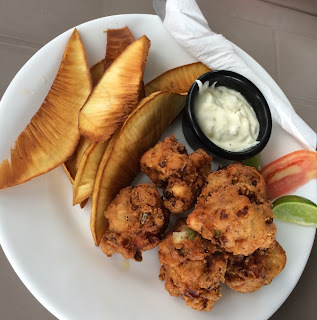 Not really paying heed to Hawaiian traditions, the dish is edible but lacks any real character. The dressing has that insipid sweetness akin to most packaged dressings, and completely misses out on the synergy marinating the raw fish produces. In summary - save your money, and patronize the regular joints. I tried this for science - you shouldn't have to.